The Florence Institute is an Interior Design School in Florence, Italy for Diplomas, Bachelors and Masters of Interior design. The English language is used for instructing all courses.Each one year course is 30 weeks. 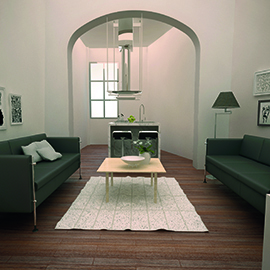 FIDI is a perftect option for international students looking for a Interior Design school in Italy. Interior Design courses focus on the techniques and the design process used by Italy's Interior Design profession. Each one year course is 30 weeks in duration with all courses held in English. Both Masters and Academic level courses give the student a foundation of knowledge and skills in all the areas of Furniture Design, Interior Decoration and Interior Design of Italy. Our courses have been integrated to allow thorough exploration of each design concept. Form and functionality aspects are studied in the Studio Design Courses. 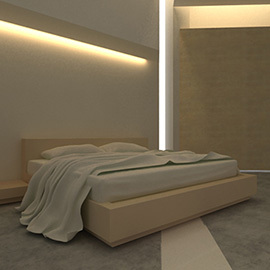 Simultaneously, virtual 3D models of interiors and furniture are created in the computer classes to further examine the visual aspects and presentation qualities of the scheme. Course integration allows for efficient use of time and complete project results. The Interior Design school courses offer instruction in; AutoCAD, 3d Studio Max, Sketchup, and VRAY. These software are the most prevalently used programs used in Italy, Europe and throughout the world. The main focus of the Interior design school's program is the Studio Design Course. 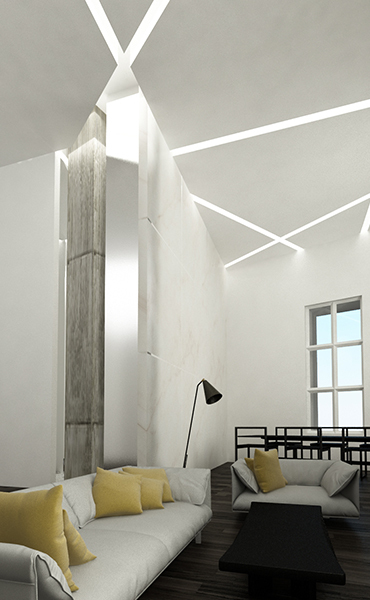 Themes of space planning, Furniture Design, Interior Decoration, textures, color schemes and lighting are addressed. Visit our Design Gallery to view examples of the types of projects realized during the course. The class is organized into three different components: 1) lectures 2) desk critiques and 3) presentations. Design school lectures cover many design topics, technical data and theory. Throughout the semester, students will be issued design problems, and then asked to develop design solutions over a period of weeks. Development of each project will be closely advised by instructors. At various stages projects will be presented, discussed then graded according to how they solve the design problem. By the end of the courses, Interior Design students will have acquired the training and the portfolio necessary to interview for positions in interior design firms, furniture design studios, or architecture studios. Florence Institute graduates can find entry positions as space planners, assistant designers, rendering illustrators, draftsmen, and production coordinators. After gaining professional experience, graduates may eventually go on to advanced positions such as leading designers or project managers. 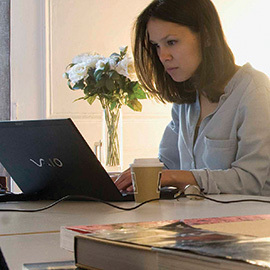 Others may establish their own design firms or take on challenging freelance assignments. Our entire faculty is very qualified with the highest credentials. The faculty members of our Interior design program are all registered architects or PHD level professors. The teachers come from both Italy and international backgrounds. Our staff have a respected reputation for dynamic teaching methods, motivating course material and interactive learning. Field trips form an integral part of The Florence Institute's curriculum. The school is located in close proximity to some of Florence’s most important museums and cultural sites. Students should budget an additional 150 Euro per semester of travel and ticket cost for field trips that are scheduled for classes in which they are enrolled . Visits to the Uffizi Gallery together with many other palazzi, churches and museums are visited each week. Some of the places typically visited by Interior design students include Italy’s largest furniture exhibition Salone Internazionale del Mobile in Milan and the ceramics exhibit Cersaie in Bologna. Italy is known worldwide for its furniture industry. One of the highlights for interior design students is a visit to one of Tuscany’s premier furniture factories. Furniture design is one of Italy’s most respected areas of knowledge. 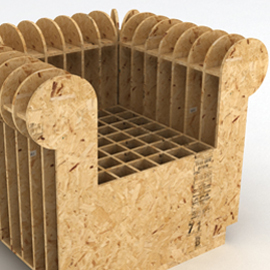 The purpose of the short summer course is to develop students’ understanding and conceptual skills of all aspects of furniture design from design to production to the development of prototypes. During the 4 week program, students study presentation of history, theories, works and trends of Italian and International furniture. Our academic level is ideal for students new to the field of Interior Design. For the entry level student, there are three options, a one year, or two year courses. The program rapidly moves from to the fundamental design principals of form, space and order to the realization of detailed architectural drawings, renderings and material studies. We are offering a 3yr Bachelor of Arts Degree, BA (Hons) in Design issued in collaboration with the University of Chester. See the Bachelor page for requirements. For acceptance to the Bachelor degree at FIDI, students must meet the same requirements as students applying to the University of Chester. The Master of Interior Design is perfect for young graduates or professionals working in design interested in attending a specialization course. The objective of the Master is to produce a new professional quality by combining creative and technical skills. Admission to the Master is only for graduate students with a of a compatible 3 year bachelor degree in design.